January 1 - (Tuesday) New Year's Day. January 7 - 9 - JP Morgan Healthcare Conference, San Francisco. January 9 - Chattanooga Chamber Economic Outlook Conference, Speaker Raphael Bostick, president, Federal Reserve Bank of Atlanta. Details. January 19 - (Saturday) Tennessee Gubernatorial Inauguration Day. Gov.-Elect: Bill Lee. January 21 - Martin Luther King Birthday Observance U.S.
January 24 - Nashville Technology Council 10th Annual NTC Awards - Wildhorse Saloon, details here. January 30 - Nashville Health Care Council - Wall Street's Views on Prospects for Healthcare Industry, details here. February 8-10 - Women4Blockchain - Hackathon & Learning Hub - Lipscomb University. Details TBA. February 12 - TN Advanced Energy Business Council annual meeting in Franklin, Tenn., details here. February 11-15 - HIMSS Global Conference 2019, Orlando, details. February 18 - George Washington's Birthday Observance U.S.
February 19 - Nashville Technology Council 'Day on Capitol Hill'. Launch Tennessee also participating. February 20 - Life Science Tennessee 'Day on Capitol Hill'. February 26 - Polsinelli - PYA Healthcare reimbursement Summit, details here. 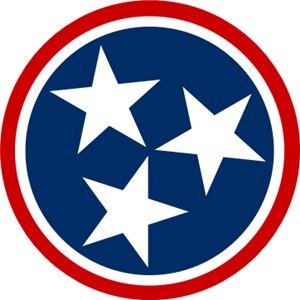 February 27 - Nashville Health Care Council - Policy Panel Discussion, details here. March 1 - Memphis - AgLaunch Startup Station during Mid-South Farm & Gin Show, details here. March 2 - U.S. Women's Soccer team plays in Nashville. March 3 - What's the Big Idea? Public Pitch Day, Knoxville, details here. March 4-5-7 - Gov. Bill Lee State of the State Address, details here. March 10 - (Sunday) Daylight Saving Time (DST) begins. March 28 - TN China Network program on TN-China relationship, details here. March 28 - (11 a.m.) West Tennessee Economic Development Caucus, speaker Richard Smith, CEO, FedEx Logistics, Capitol (House chamber), Nashville. March 29 - Nashville Health Council discussion with former Cleveland Clinic CEO Toby Cosgrove, details here. March 29-30 - FreightWaves, Company Lab host Freighttech Innovation Challenge, Chattanooga, FreightWaves HQ, details here. April 2 - 'Building a Health Innovation City' - program with Ed Cantwell of Center for Medical Interoperability and Mini Kahlon PhD, vice dean, Dell Health Ecosystem, Austin. RSVP to info@OneC1tynashville.com (sic). April 7 - 11 - Nashville Health Care Council study mission to Israel. Details. April 9 - Bisnow Opportunity Zones Conference, Hilton Nashville Downtown, details here. April 19 - Good Friday, NYSE closed. April 22 - Earth Day 2019, global details here. April 22 - Nashville Rotary Downtown, luncheon panel discussion on Nashville tech-sector challenges and related, details TBA. April 25-27 - NFL DRAFT, Nashville. Details here and here. April 30 - Metropolitan Nashville Davidson County Mayor David Briley delivers 56th State of Metro Address. May 3 - Nashville Health Care Council conversation with Aneesh Chopra, CareJourney CEO, former U.S. CTO. Details here. May 6-9 - Nashville Entrepreneur Week, details TBA. May 12 - (Sunday) Mother's Day. May 16 - Qualifying deadline to run for Mayor of Metropolitan Nashville/Davidson County. More here. May 27 - U.S. Memorial Day (Monday). May 29-30 - TN Valley Corridor National Summit, Chattanooga, details emerging here. June 6 - 9 - CMA Festival, Nashville, details here. June 13 - MUSICCITYCON product information and cybersecurity conference, Nashville Technology Council, details here. June 16 - Father's Day. July 4 - (Thursday) Independence Day (U.S.). August 1 - Metropolitan Nashville Davidson County Mayoral Election (qualifying deadline May 16). More here. August 15+ - Memphis Epicenter multi-accelerator demo days, details tba. August 28 - 29 - Launch Tennessee 36|86 Festival, Nashville. Details TBA. September 2 - Labor Day U.S.
September 7-8 - Moon River Music Festival, Chattanooga, details here. September 9-10 - Nashville Analytics Summit, Omni Nashville, details here. September 21-22 - Pilgrimage Festival, Franklin, Tenn. Details here. October 1-4 - International Placemaking Week, Chattanooga, details here. October 14 - Columbus Day U.S.
October 24-25 - Gov. Bill Lee's first GOVCON economic development conference, Nashville, details coming here. October 29-30 - 17th Annual Musculoskeletal New Ventures Conference, Memphis, details here. October 31 - (Thursday) Halloween. November 3 - (Sunday) Daylight Saving Time ends. November 11 - U.S. Veterans Day. November 14 - LSTCON Life Science TN annual meeting, 21c Hotel, Nashville. November 28 - (Thursday) Thanksgiving Day. December 25 - (Wednesday) Christmas Day.